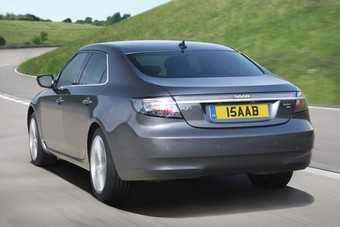 Some comfort for beleagured Saab - its 9-5 has been named Car of the Year in Singapore. The accolade for the 2.8V6 Turbo version is from Wheels Asia whose annual 'Car Buyer's Guide 2011/2012' ranks all models on sale in Singapore and the Saab was "favourably compared with the Audi A6 and BMW 535i in the executive sedan class". "We are very happy," trills Jonas Hernqvist, regional manager for the Asian markets. "The markets in Asia are demanding and Singapore especially so, since it so restrictive when it comes to car imports. Therefore it is particularly gratifying and encouraging that the Saab 9-5 is honoured in this way." Apparently the judging criteria doesn't include Likelihood of Maker Being Around for Parts and Service This Time Next Year.